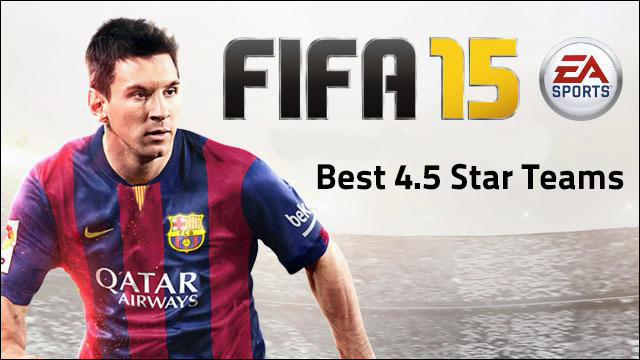 FIFA 15 has been out for ages, we know. But it’s still getting played to death in living rooms and bedrooms all over the world, and rivalries between mates are still burning strong as we near the end of the game’s life cycle. If you are still battling your mates regularly and often play without 5 star teams, or simply want to avoid the likes of Real Madrid and Bayern Munich in online seasons, we have identified the five best 4.5 star teams to use in FIFA 15, and the line-ups to ensuretheir effective usage. 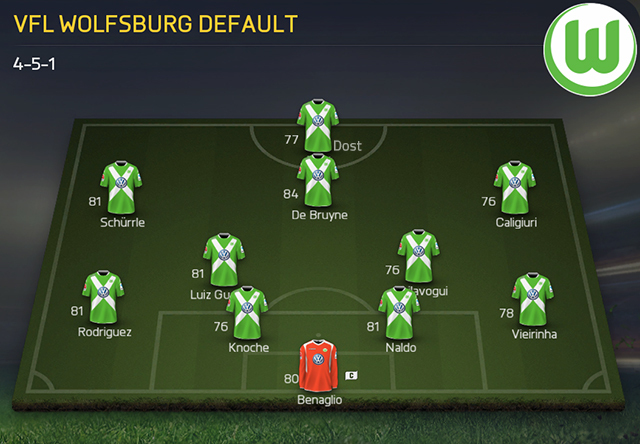 If 4-2-3-1 is your favourite formation, you should look to use Bundesliga side VFL Wolfsburg. The key man here is without a doubt Kevin De Bruyne, as his 4 star skills, decent pace and strength, and ridiculous shooting and passing will see him as the focal point of every attack. Shurrle on the wing is a huge bonus, and Caligiuri is no slouch either. The two CDM’s are ferocious workers and you’ve got pace all along the back four. As solid as they come. Surprising that they are 4.5 stars after last year, but that’s not your fault. Going with Griezmann up top allows him to be more important in the match, and his pace compliments Mandzukic’s ridiculous heading stats. Every goal kick should be aimed at the Croatian striker, and Koke and Turan out wide should be firing crosses into him. Godin and Minanda at the back are rock solid. If you don’t hate Liverpool then they are a decent option if you like the 3-5-2 formation as they have the perfect players for it. 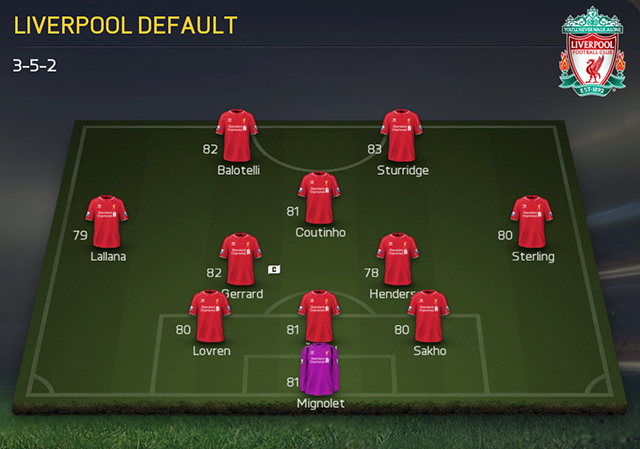 Balotelli needs to start for his FIFA ability, and Daniel Sturridge is one of the most effective strikers in the game. All of Coutinho, Sterling, and Lallana can sprint-dribble with devestating effect, and the back three have enough physicality to stand firm. 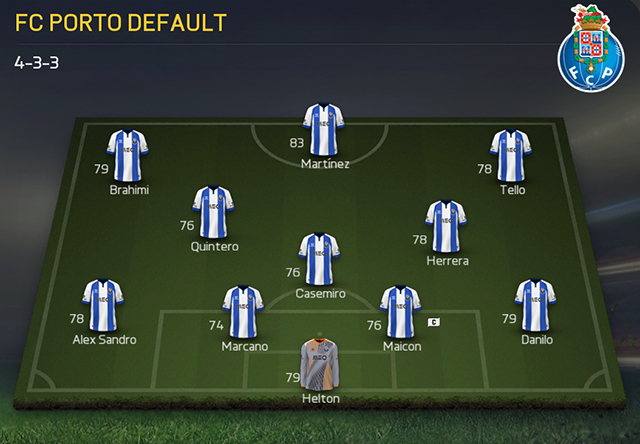 Porto are a hell of a lot of fun to use FIFA 15. 4-3-3 suits them best thanks to the pace of Brahimi and Tello, and Jackson Martinez is a beast, but if you prefer two strikers then Aboubakar is a serious handfull too. Quintero’s shooting is incredible, and there’s great balance in midfield with Herrera and Casmeiro sitting. The wing backs are lighting quick too. 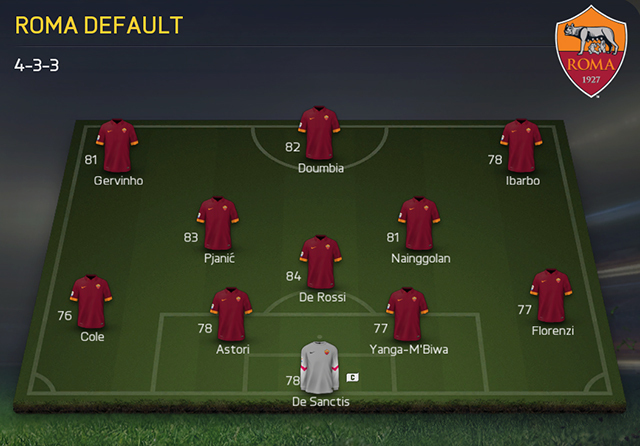 Without a doubt the most devestating 4.5 star team to use are AS Roma. Look at that front three, an obnoxious amount of pace. Gervinho, Doumbia, and Ibarbo are uncatchable, so if you get a foot of space you are gone. No back four can cope with them. Behind the sweaty beasts up top you have Pjanic, Nainggolan, and De Rossi who work amazingly well as a three, and you have enough pace at the back to cope well, as long as your not playing Roma v Roma. More convenient and efficient to buy fifa coins, scan our QR code enter the mobile terminal.